CAN i USE THISA FOR DRY LANE CONDITIONS? This is going to work very well if the lanes are drying out. The polish should help to get the ball down the lane so it does not overreact earlier on the lanes. This is one of our most popular brands of polish, it will definitely work. 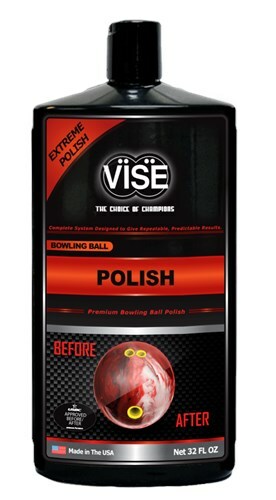 Due to the time it takes to produce the VISE Bowling Ball Polish 32oz ball it will ship in immediately. We cannot ship this ball outside the United States.